Fulham’s North End Road got a glimpse into a thriving future yesterday. An estimated 10,000 shoppers packed the Festive Market in the iconic high street on what turned out to be a very sunny first Saturday in December. The Festive Market is a new initiative organised by H&F Council's new Labour administration. They set up and worked with North End Road action group to deliver on their pre-election pledge to better support independent retailers and regenerate North End Road. The day coincided with Small Business Saturday and alongside the usual top quality fruit and veg there was hand-made decorations, beautiful crafts, jewellery and art, clothes, delicious cakes, hot food, mulled wine, and much more which was all snapped up from a hundred stalls on both sides of the road, which was traffic-free for the day. “There was a really happy community atmosphere”, said Cllr Ben Coleman (Lab), who champions small businesses in Hammersmith & Fulham. “People got a vision of how good the road could become." You can get an feel for the optimism and spirit of the stallholders in this video here. 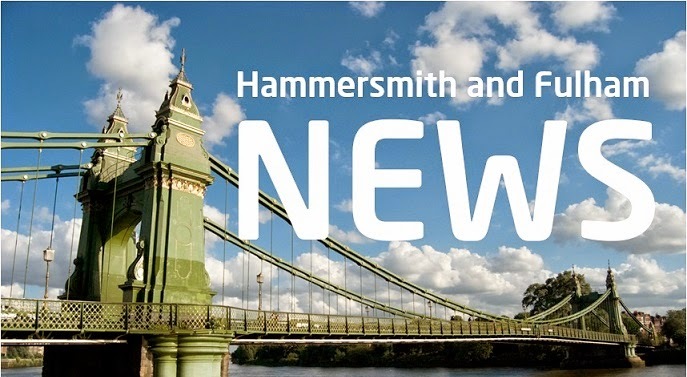 Hammersmith and Fulham voted in the new Labour administration at last May's local elections. H&F Labour had campaigned for better support for independent retailers urging people to "Buy Local" to improve the borough’s high streets. “We promised to support independent retailers in our manifesto and this is a very good start to showing what North End Road could become”, said H&F council leader Stephen Cowan (Lab). Everyone is invited to a public meeting to talk about what they thought of the Festive Market and help map out the next steps for North End Road. That meeting takes place at 7pm this Wednesday 10 December in St John's Church, North End Road, London SW6 1PB. Maggie has run her haberdashery stall at the market for nearly 30 years. "I've seen so many people that I've never before seen in my life today. The pedestrianisation has made an enormous difference to the market. If we did this once a month it would be brilliant"
First-time entrepreneur Nikki sold homemade cakes and pastries under the name Tarts of London. "I saw an article encouraging small businesses to sign up so I gave it a go, I've always wanted to run my own stall and the council has been really supportive in helping me get to this point. There has been a constant stream of shoppers and the atmosphere has been great." Kate from Shepherd's Bush sells handmade silver jewellery as KC Loves and has traded in Camden and Portobello markets. "I never thought I'd trade here but the atmosphere has been really relaxed, everyone has a smile on their face and I've nearly sold out of stock". It wasn't just small businesses that benefited. The Doorstep Library, Sir Edward Stoll Foundation and other local charities also promoted their work. Sam on the Stoll stall said, "This is the first market we've done. It's great that we've been able to see and speak to new people in the community about the work we do." Julian, a long standing local resident who shops on North End Road most days, told us "There's a nice variety of stalls and people feel comfortable with time to stroll, stop and chat." The Fulham Brass Band added greatly to the atmosphere rounding off proceedings with a wide variety festive favourites. Please email Cllr. Ben Coleman here if you'd like to share your views with him about this and other possible future ventures.